ATTENTION: FOR BOOKING FROM 3 DAYS A DISCOUNT OF 15% IS PROVIDED. The apartment "Apartments on Central Boulevard 22a" is located in the heart of the city. For living guests are provided one bedroom apartment. 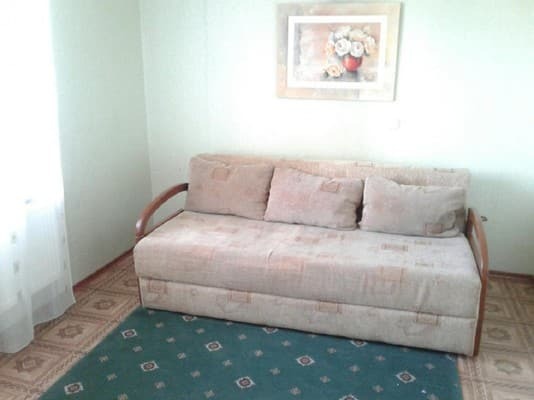 The apartment has comfortable furniture, modern appliances and Internet Wi-Fi. In the kitchen you will find everything you need for cooking. Clean bed linen and towels are also provided. Cleaning and linen change every 4 days. The apartments are located in the heart of the city, a 5-minute walk from the Cathedral Avenue. Within walking distance - Festivalnaya Square, Ukraine department store, night clubs, banks, restaurants and cafes. 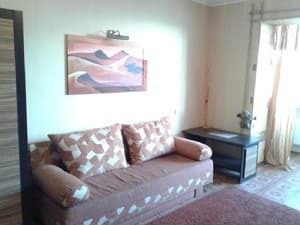 Description of the room: The apartment is equipped with all necessary appliances (refrigerator, microwave, air conditioning, TV, hairdryer), furniture, Wi-Fi. We provide clean linens and towels. "Apartments on Boulevard Tsentralny 22a" are within walking distance - Festivalnaya Square, Ukraine department store. To the train and bus station can be reached by taxi No. 61 №62.